I’ve been sitting in the airport now for over six hours with a delayed flight. Luckily, I’m with my best friend – we’re on the same flight back to Ohio from NYC. But needless to say, we’ve been going a little stir crazy. But despite all the delays, crying children, and frustrating lack of information, one thing’s for sure: we are both so excited to be going home. Which, as I reflect on that now, I fully appreciate that that mindset has not always been the case. Home has not always been a joyful place for me. In fact, it has more often than not, been a source of deep sorrow and regret. Painful reminders of that season of anorexia, coupled with an inescapable shadow that followed me around, of the life I once loved – and the life I threw away and chose to destroy through an eating disorder that nearly took my life. And as though places and objects were painful enough, people, too, seem incapable of letting go of that broken, sick girl I was before. And unable to embrace the young woman I am today, healthy and whole – in every sense of the word. And I think if I’m really honest, I’ve spent the majority of my life running from that. Chasing dreams. Chasing adventure. Trying to reinvent the person I had lost during my anorexia. And though I have come close, I am unable to replicate that joyful, unburdened existence of before — where my heart was free, spirit on fire, and my soul loved and cherished by a family that loved and supported me through my highest highs and lowest lows. But I think I’ve let that aversion and pain I’ve associated with home, keep me from even imagining what a life there could look like. I was allowing those negative thoughts and memories and judgements drive a wedge in my heart, which I realize now, is letting the eating disorder win, yet again. This year, I’ve been more excited than ever to be home for Thanksgiving and Christmas. And I don’t know about you, but it seems like the entire fall has absolutely flown by. Maybe because I’m growing up, or maybe because my heart — like my time — is split in two, between NYC and Ohio. I have been living from a place of gratitude. Since my mom’s stroke, I’ve really had a whole new outlook. That night at the hospital, praying with every fiber of my being that my mom make it through the night, left me with a raw, black and white view of what truly matters in this life. The rose colored glasses that I had grown accustomed to in my cushy early twenties were, in that moment, ripped off, and I was left with unfiltered, unedited life. In that moment, things changed. If it didn’t matter, it didn’t matter. Parties, the perfect outfit, the social media following, the opinion of others — they just don’t matter. People matter. Time together with loved ones matter. Laughter, intimate conversations, sharing hearts, sharing joys — that matters. And you do what you have to do to keep that a priority…even if it means flying place to place every few weeks. But whether I’m in Ohio or NYC, when I am there, I am there. I say yes. I go the extra mile. I stay out late. I rearrange schedules. I show up for the people that matter to me. Because that’s what life is all about. You’re not going to remember witty banter on social media, or what emojis were used to express emotions in a group chat — you’re going to remember time. Smiles. Experiences. How you felt in the moment. That is what I am grateful for this Thanksgiving. That time. The people I share it with. The joys and memories we have together. But to be honest, I’ve never felt more torn in my life. Though I appreciate having a job that takes me back home to Ohio so often, and another job that allows me to work from anywhere, the truth is, I know I cannot sustain this lifestyle forever, not at least, if I want to get married and settle down. But my heart is torn in two places. Home, with my family – and the joyful day to day moments that I deeply yearn to be a part of. And in NYC with my very best friends – who have been by my side in life since we were wee little tikes, in the life that I have built over the last eight years. But I fear I’m beginning to open up a can of worms that I am frankly afraid to confront. I don’t want to face the inevitable of future plans, or the closing of a chapter. And as I sit here writing this, I am absolutely verklempt, and here I am sitting in my airplane seat crying, just like the kid kicking my seat behind me. Maybe that’s why time is flying: because I’m trying with all my might to ignore the inevitable. To not face the music, and as a result, it’s slipping faster and faster through my fingers. Indecision is still a decision. As much as I hate to admit that to myself. Ignoring the elephant in the room doesn’t make it any less big or any less smelly. I’m a woman with two countries. And cannot fathom making a decision between the two. Time is the most valuable asset we have. And, as grateful as I am for this time I have with both sets of family in both “homes” I have been blessed with, I appreciate that at some point, I am going to open up that can of worms and confront the rapidly changing calendar months. This post, like my heart, is unresolved. Other than the realization that God knows what He is doing. God is allowing me this time in NYC, to be filled with something only He knows I need. And for that, I am so grateful. But I’d love to know – how you’ve resolved a torn existence? How do you discern where God is calling you in life? Because when the time comes for me to either shovel elephant poop, or put him in his pen, I’m gong to need some advice. So thank you , and I hope you have a blessed and happy thanksgiving. Next Post Cashew Custard in Quinoa Crunch Bowls! If you think about it, this is a situation that is peculiar to American culture and to our time. Americans are always looking for a frontier, a new land. It’s in our DNA. And, in the not so distant past, a young woman simply didn’t leave home on her own. We’re still in the figuring-it-out stage. Blessings on your holidays — here, there and everywhere!! I’m couldn’t have made it through three divorces without God. Sounds contradictory doesn’t it? LOVE THIS! So perfect and true! 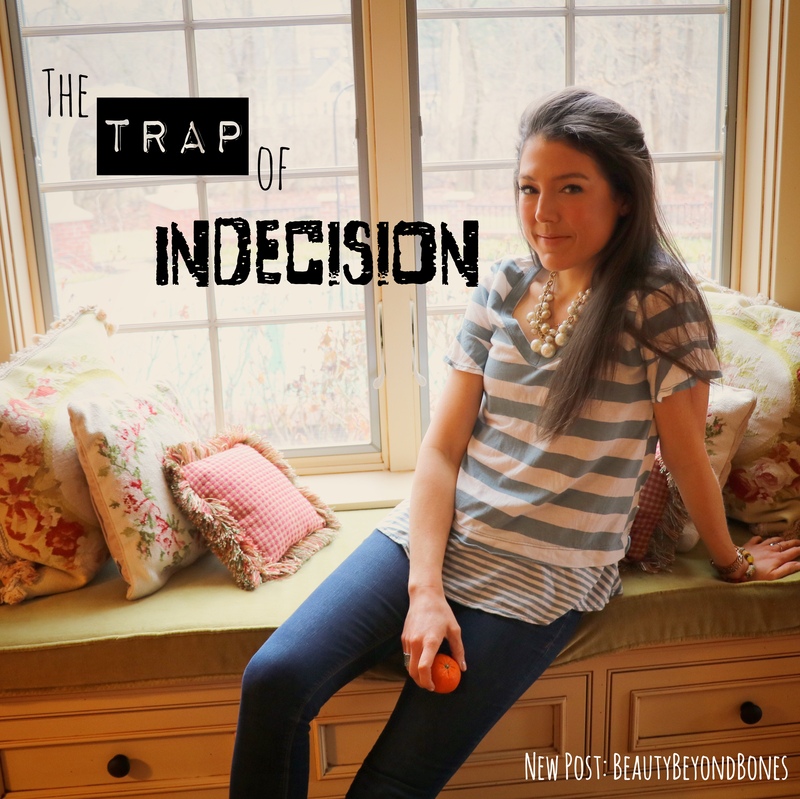 Absolutely – an indecision is a decision! “Be still and know that I am God” (Psalms 46:10). God will give you the grace for each future chapter in your life. Triple B , One you do not hang out with darkness, even if that is your family. You can love them from a distance. Everytime you go back it pulls up images in your mind. I know this to be true. Woman did not get crucified on the Cross it was the Man. Do you see Woman on the Cross I don’t. You were made by God to be a help meet of his children look again at Gen real close. If you want to know who you are as a Woman look at the Book of Esther, there are two Woman there find out which one are you. If you do not understand the words like Haman, ask me. Love you take care, find your way back to the Garden of God and there you will find your peace. I love you sweetheart I am not here for me but for you to teach you who you are as a Woman in God. I have been married for 49 yrs to my High School Sweetheart. I know what I am talking about. Ask yourself has a man every deceived you. The answer is yes. That is why you do not see the Woman on the Cross because you are the tree of life God is protecting you, He made you His help meet to the Man, the only other person in the Garden was Man and God told him not to gain knowledge of tree of life, man is the serpent. Missed you, good to hear you are safe at home. You read my blogs extend my site on your front page. I am here to save you and others America is going to fall. You cannot stop the evil of men and what they do. Men call judgement upon themselves. I know I speak from experience. I have been faced with this many times in life. When I said yes to God’s call on my life, that has led me to many crossroads. The best passage in the Bible that helped me was Romans 12:1-2. First, we surrender our will to God – we present ourselves as a living sacrifice, holy and acceptable to God, which is our spiritual act of worship. That initial surrender allows God to transform our thinking to His way of thinking. The final result is to prove (test) what God’s will is. If an opportunity comes your way, investigate and beg God to make His path clear. I always beg God to close that door of opportunity…just thoughts from a 38 year old pastor who is still learning. I believe you genuinely want to know, and I have full confidence that I will be reading a post within the next year of how God revealed His perfect plan for you. Have a blessed thanksgiving! I am 65 yrs old I walked away from the church 14 yrs ago. Tell me what, Golgotha , the Place of the Skull means to you. Means to you just curious. It was the place where Christ was crucified. With that in mind, I think of it as a place of suffering. This suffering, however, accomplished a purpose that no other suffering could do – provide forgiveness for all who would trace their faith and trust in the Lord Jesus Christ. I am, by no means, a scholar. I’m just a guy who didn’t deserve God’s grace but received it when I called out to Him to save me from my sinful condition. I understand that the Place of the Skull is your mind that is what it is talking about. God dwells in you that is throughout the Old and New Testament. Ask yourself why isn’t the Woman crucified on the Cross? God who created you made the Woman, your wife the help meet of His children , she is the image of the tree of life in Garden. Ask your wife before you got married has man ever deceived her the answer is going to be yes. I know that. I teach the Word, I do not preach the Word. I do not wish to take up Triple B’s site can you email me at thomasronald244@yahoo.com. I am well versed in the ancient Aramaic languages and Hebrew. I can interpret any scripture you want in the Word. I am self taught, I have a 163 IQ. Disciplined in a lot of areas. There is no gain in this but to teach the Word what you do with it is your choice not mine. Ron, Golgotha was the place where Jesus handed over His life upon the cross for our sins. It was the site of the greatest demonstration of love. It was the where the Old Testament was fulfilled and the New Testament came to fruition. It is the crux of our faith, our relationship, our hope. Man is crucified on the Cross, The top on Your Temple is your mind, hence the Place of the Skull we are as men to crucified or minds to the gods of man. Don’t pray for me . My judgement is already done. Man judges himself God has already judged Him, read your Bible. Man lives by the Law read the Old Testament, have a great night. I pray you have a safe flight! To seek God’s will just seek Him first in all things. God bless you sister! Have a great Thanksgiving! We find ourselves when we move beyond opposites and become one with each other and God. God is within us here and now and forever. “I am the light that is over all things. I am all: from me all came forth, and to me all attained. Split a piece of wood; I am there. Lift up the stone, and you will find me there” (Gospel of Thomas, 77). You must look within yourself. It is not a matter of whether you’re male or female, celebate or married. What matters is that you find God WITHIN you and become spirit. Have you considered the third option? Somewhere besides OH or NY? Perhaps the unrest you feel is God getting you ready to go some place totally new. Maybe the things you’ve learned in OH and now in NY are getting you ready for the next destination. And as long as there is internet connection, you’re good! 🙂 I’m sorta in that position now myself. I can feel the pull, the draw of something away from here. But so far, God has been silent about it. I admit, part of this waiting time has been for me to finally surrender, to say OK God, where and when, let’s go. And the thought of that is scary, but also very exciting, knowing I’m going with Him. But one piece of advice while you’re waiting on Him to tell you where and when, live in the now. Don’t waste today worrying about a future that is coming in His time. He Himself said don’t worry about tomorrow. I’ve wasted so much of my life concerned about what might happen or trying to be prepared, that I missed out on the present and what He had for me here. I won’t do that anymore. Proverbs 16:1 reminds us we learn and get ready, but God will tell us when it’s time, what to do and what to say. Until then, live today. Learn what you can today. When He shows up with it, you’ll be ready. Praying with you! Have a wonderful Thanksgiving!!! Well, new places aren’t necessarily the deep, dark, jungles of Africa. 🙂 He might have something for you in IN, IL, MO, KY, VA, WV, or PA. All new places and all within driving distance of OH family. Or He may want you in OH. Any way, He will work it out, and it will be wonderful! 🙂 You’re so welcome! Have a good night! You are right about indecision being a decision. I hope that you enjoy your Thanksgiving in Ohio. It is great to have a friend to travel with. May you continue to have fun. You are very graciously welcome. You are truly blessed to have two BFF’s as opposed to those who have none. May your days be brighter than bright. Hugs and love back. I really am 🙂 god is good! Seeing you thinking through this encourages us. I’ve always thought you have a gift to encourage others. So I wasn’t clear – do you think your time in NYC is ending? I’ve always thought that the guy you are looking for, with the values you have is much more likely to be in Ohio than NYC. Maybe, just maybe the big adventure of seeking who you are is closer to home than you realize. These are just thoughts, I do not criticize in any way. Pray and He will lead you, but only if you are honest about it. You mention your Dad sometimes. I would talk to him about it unless you already have. Us Dads – we do have wisdom God gives, and quite often for our daughters. I have several. God bless you and peace. Wonderful that you talk with your Dad! Awesome. And you know what? I think there is a Catholic dating service. I would go for it! Blessings! I sit here at home, in the same small town I grew up in. Been here all my life, save for 17 years in Louisville. Now, Louisville isn’t as large as NYC, but it was a taste of a bigger city. That, along with my ordination 6 years ago, changed me to the degree that I really don’t fit in with my family any more. But I have no regrets, because that was the course God laid out for me. And that’s the key as far as choosing a place to call home–to follow where He seems to be leading. I realized I’m more comfortable in a small town, but I live a different life in Mayfield than the one I knew before. I’m more comfortable with who I am now. Relax and have faith, dear lady. God will enable you to choose between Ohio and New York, when He is ready for you to choose. Until then, just enjoy the ride. Just curious, where in Ohio? My wife’s from Cleveland area. I was born/raised in New York City then moved to California (long story) where my family all later moved. Then I went back to New York City for a job teaching English and writing which I really wanted. After witnessing the attack on 9-11 from 6th Ave on the way to work one day, and the subsequent airport closings, I tell you, as hard as it will be to leave your dear friends in New York, go home to your family. It took me 2 years to face up to that. Eventually I had to return from my hometown of New York back to California where my family now lived, because I couldn’t imagine another time of some big unfortunate event in this out-of-control world, and my inability to be with my loved ones. Then, recently, the wildfires where I now live in Santa Rosa, California, in which family members lost their home and we were evacuated in the middle of the night among sirens, flashing lights, blaring horns, and an orange sky, the point was driven home, let me tell you. As much as I so terribly miss my hometown of New York City which I will always cherish, and which I cry over as if for a lost love, I know I made the right decision. Take it from me, make the move while you can. The good news is that You are aware that this season in your life is ending to make way for a new season to begin. The transition between seasons can be lengthy or can be quick, but whatever this one is one thing is for sure God is for you (Romans 8:31) God wants to do you good, in fact He longs to do you good and no good thing will He withhold from you (Psalm 84:11). He will make things clear to you, when it comes to decision making some of the best advice Ive been given was this… come what may, be willing to be willing to do what’s right because God can work with that. God won’t keep you hanging, you will know with complete clarity how to remove the elephant in the room, because let me tell you through experience shoveling elephant dung is an arduous waste of time, it is not worth putting yourself through. Gods grace will get you through be sure of that even if you’re not sure of anything else. Be blessed sister. I will pray for you. My darling dear, I do hope you arrived to Ohio safely. I feel like I am in the same place in many ways and reading your post has really helped me. Keep writing, keep striving, and keep believing. What will be will always be and what won’t, well, won’t. When I hurt my back about 30 years ago my doctor said something that I have found to be true. He said that friends will adjust to the changes however your family will expect you to be like you were before. The goal was to keep me out of a wheelchair before age 45. That goal was met years ago! praise God!!! oh gosh, that is just terrific! God is good!! They came and picked me up out of my bed because I couldn’t get up. One of the doctors told his doctor friend ” since he can’t walk I guess we will have to keep him!” I was told I would be back to about 70% of the things I did before I got hurt. I had 2 physical therapist who drilled it into my head that under no circumstances would I ever accept that! It was hard work and I am in pain every single second of every single day and the only way to make me pain free is to drug me up totally and that won’t happen! I can’t remember a time when I haven’t been living with this pain but in the end I had a choice to make and that was to be a ” victim” or fight the fight? I will never use the ” victim” card. Oh my goodness. You are an inspiration!!! No advice needed. It looks like you are already standing on a Rock. Picture, in your mind, navigating through a shallow river with a strong current. Yet, you are griping a rope with both hands that is tethered to each bank, behind and across from you. Those steps, without that guiding, steady rope, are hopeless. God’s grip…and rope. Good luck. I know the feeling, kind of. For me it’s not so much a choice between two places as it is between “here” and “not here.” Are the things I don’t like about California enough to make it worth it to leave without having anywhere to go? I’ve been struggling with this for most of my adult life. Philippians 4:6-7. I pray and God gives peace. We sometimes expect a “perfect ideal” in our decisions. Life is full of challenges no matter what decisions you make. Ask God to guide – make a decision – and remember that your decision was made with God’s help and peace. Decisions and Home? Well, I moved to AZ, believing God called me there and I was miserable. I still think I was meant to go and get a friend set up, but then he let me move back to Las Vegas, where I am truly happy and home. I appreciate all the verses others have given you for encouragement. I would add something else to theirs. When one considers 1 Peter 3:4 read alongside Proverbs 31, I believe that trusting God to work things out according to His plan is what having confidence, peace, and a quiet heart is about. I needed to remind myself of this tonight as well. You may feel the discomfiture as a way of preparation for a move you don’t know about yet. I know I have an upcoming move, but I’m having to wait to see where I will be working – and the closer it is to the time to move, the more challenging it is to maintain that peace. Today, we must focus on today! You are blessed to have choices – and both seem good choices. I’ve often felt God places doors in front of me – and says, “It doesn’t matter which one you open and enter as long as you take My hand and we go through that door together.” Sometimes, though He seems to hand me the key to one or two while the others remain locked. If you have to force it, don’t! Navigating life is rife with choices. What is best? What plan does God have for you? How can you find out? God knows you personally, you are His child and He loves you, but is limited by the gift He gave you of Agency, and as such cannot do for you without your consent. As you study out your desires, when you come to a conclusion, ask Father with real intent, then listen to the promptings of the spirit. You will know when you have come to the right conclusion as your frame will feel like it is swelling and tingling within. But if it is wrong, you will have no such feeling and a stupor of thought will have you reflecting on other possibilities. When you pray, ask Father to influence your mind and direct you as to what to ask for. He knows what you need, and will lovingly provide. Consider the lilies of the field, they grow yet do not toil, how beautiful they are. But You are His Child, how much more will He bless you when given the opportunity? Peace be with you Beauty. Your life will have challenges, The purest Soul must be refined in the crucible of life, but as you surrender to the Masters touch, you will become the potential He sees for you. 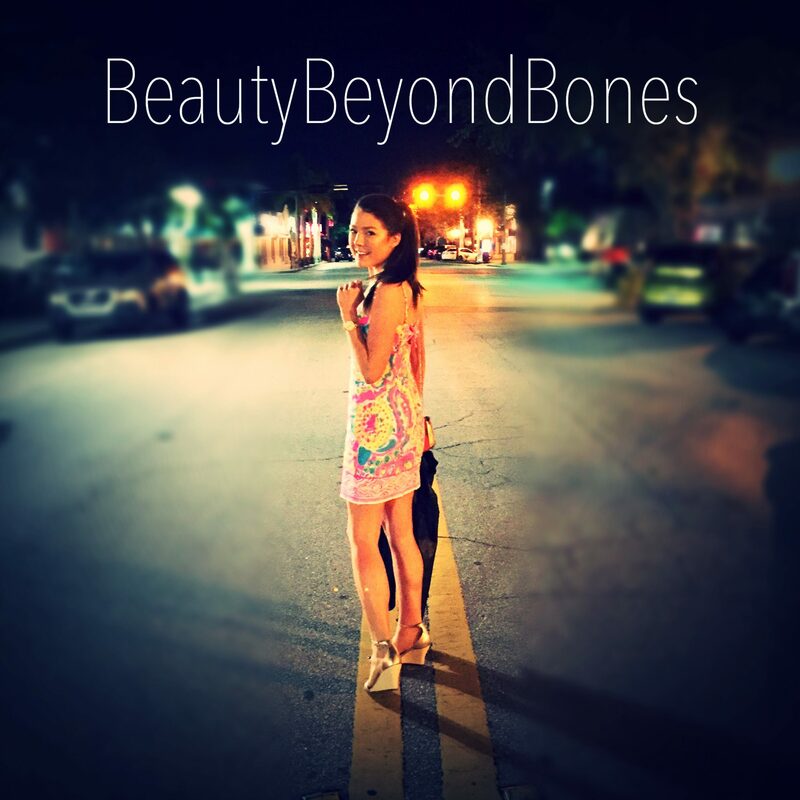 BeautyBeyondBones sounds like my phrase Blessed Beyond Belief. Hey just curious, have you tried developing systems for that? Yeah, out of a movie! Thank you for sharing your heart, inspired by your strength. Thanks for being open about this. I’ve been struggling with the same kinds of feelings – that growing up is about choosing, making that decision, not to walk away from things but to walk toward something that will be so much better and fuller for being chosen. It’s not easy. And, by the way, I’m always keeping you in my prayers! My husband had a stroke out of nowhere at age 41. We were told he could never speak again and when I asked the doctor if I could have a moment alone with him (our then five-year-old daughter was with a best friend), the doctor said there had a misreading of his latest scan, that he would likely be able to speak and slowly recover. Sometimes I take for granted my husband’s miraculous recovery. And then I am reminded that life is never the same. Beauty Beyond Bones, you recovered from anorexia. Thanks to your prayers, your mother survived her stroke. It seems like you are at a turning point in your life right now. Follow the Light within you — that’s what we Quakers say. You have a wonderful blog and I am honored to follow it. Hi,dear..Don’t think too much and enjoy your holidays and the days of festivities.Things will only happen the way they are destined to be ,so no put stressing yourself about them.This is the mental state of almost every individual in this world.Each one of us go thru such dilemmas in life and only our faith can bail us out of them. When decisions cut so close it is hard to tell one from the other… flip a coin. Seriously. I learned this trick a long time ago. Heads, Ohio. Tails, NY. Flip it and let it land on the carpet or bed. Wood or tile floors guarantee a lost coin. What did it land on? Are you delighted? No? Flip it again. Same answer or different answer, what is your gut response. Joy? If not you know what your heart wants. It is easy to say, ‘Well if people don’t accept you for who you are now it’s THEIR problem.’, but I live this everyday. The only person who lets me be the person I am today is my husband. Everyone else refuses to let go of my past and see me for the 51 year old woman I have become, and treat me as a peer. Sometimes I hurt for me, mostly I hurt for them. By living in my past, they are missing out on the person I have become. There are those people in our ‘sphere’ who do not grow or change. Perhaps they loath change, perhaps they fear it. Because they cannot, or will not, change they try to keep everyone else where they are so as to avoid moving forward. Keeping you down elevates them in their broken mind. Whether they realize it or admit it, they are trying to control you by bringing up your past. It makes them feel better about their past, or present, by reminding you of yours. Or, perhaps they are jealous, you got out… they did not. They still live in the same town, with the same people. They may feel as though they have not done enough with their life. Perhaps they lack the courage to take risks and your very presence reminds them of their perceived weaknesses. Whatever the reason, it’s not your issue. You are under NO obligation to remain with them in their messed up fantasy. You are not required to speak to them, to have a beer with them, to interact with them on any level with which you are not comfortable. This is your life, my friend. If you want to move home, then move home. You would be surprised at how quickly most people will get the message when you make a point of avoiding them and barely saying two words to them in public. Just because you move back home does not mean you need to let everyone back into your life who was there before you moved away. You get to pick the people with whom you want to associate. This was a long comment. I hope it made sense and contains at least one nugget you can use (hmmm horses give nuggets but hey, the make things grow so there you go!) lol. Hubby IS a gem. So blessed to be married to him. I left home when I was 18 and I tried to move back when I was 32 and again when I was 42. Both times, something pulled me away–or my unresolved issues with home prevented me from staying. At 62, I moved home and am so glad I did. I still have my friends from away and connect with them regularly. I also have new friends here. And most importantly, I am near family. When my mom needed to go to the hospital, I was right here and could spend as much time as I needed–no flights necessary. It is freeing, and I am so deeply grateful that I finally said “yes” to moving home. It is a decision. I am at peace with having made the decision and I have no regrets (about being away for as long as I needed or for choosing to move home). I hold you in prayer as you discern the next chapter in your life. I always feel torn, too. I want to stay in the comfort of my home and near family. Then my husband’s job takes us away for months at a time and I’m wishing my husband would find a different career. We are thrown into new places with new experiences and new people who I get to know and love. Then I don’t like leaving them. I don’t like leaving home, but then I love leaving home for a new adventure. Then I don’t like leaving the new adventure. I always wish we could all be together in one place in some sort of compound we wouldn’t have to ever leave. I just think about heaven being that place. Until then I will go where God decides to lead me, even though at times I go kicking and screaming. Well, this might go on, but I have a LOT of thoughts. First is your comment of trying to deal with people in Ohio who won’t let go of your anorexia. Simply, they haven’t seen the last eight years. They see you and YOU transport them back to that time. Stimulus/response: you see someone famous and feel like there’s a relationship, because they’ve been in your life for so long. You say and do stupid things because of stimulus/response. It’s…confusing. Well, the people from back when you were a wiener that they were WORRIED ABOUT see a healthy Caralyn, and – without thinking about the intervening time – want to rejoice that you are doing well! It feels weird or even stupid for you, because the frame of reference is confused. Here’s what you do – rejoice with them! They’re happy for you, you’re happy for you, but you’re each dancing to a slightly different beat because of the confusion in time. Don’t “sit” across the table with them! Join them on their side of the table and be happy too! Career/blog/relationship worlds. You’ve realized you can’t have it all. Something’s gotta give. I don’t want to tell you what to do…but I guess I’m going to. By way of personal experience. You see if it makes sense and decide whether you need to tell me to bugger off. You know I worked with Tom Hanks, right? Loooong time ago, but I did. Several years ago I watched him get his lifetime award at the Kennedy Center, and it was quite the affair. Lilly Tomlin got hers that night too. I cried. I knew Tom. I graduated from the same Hilberry Company at Wayne State that Lilly went to before I did. I was sitting on my couch after losing everything and there they were. Turn right, turn left…who knows? One or two different choices, maybe I could’ve been there. Yeah, I cried. Lots. But would I have Julie and the girls if I’d gotten that award? If I did have them too, would I have taken care of them or sacrificed them on the altar of fame as so many actors do? Would I have a child in rehab like Hanks does? Did time spent on projects that made him so successful take away from that child? I worked with people who made a living as actors, and they did OK. Fame? No. Paychecks? Yes. Stability? Who knows? You? I read a study once that counted a third of a million people in NYC trying to make it as actors and not succeeding. And that’s just the union people with cards that could be counted. Let it go, Caralyn. Take your anorexia and your blog, maybe get a new degree, maybe in counseling, and go after that brass ring that God has placed so glaringly before you. Forget acting. It’s given you a lot of pleasure and skills that can be used elsewhere (like it did me). Forget the NYC social life and buckle down on moving ahead with something that will save lives instead of just entertaining. Somewhere along that line lies your “Julie”, as improbable as that may seem. Lord knows I didn’t see mine coming! Enough. I didn’t pussyfoot around it so I could give you an unvarnished version of what might be. If I’m wrong, I’m wrong. We’ve only met once, so what do I know, really? But at least you can try on what I’ve given you and see if it fits. Talk to your folks, your family. Let them tell you if I just should’ve minded my own business or not. And when those people stuck in your past are happy for you however uncomfortably their happiness comes out…rejoice in the Lord with them. I say again…rejoice! At least you don’t think I’m a wiener for being too forward!! 🙂 Thanks for understanding that was offered in loving support. If you ever want to talk, you know how to reach me. Sometimes talking to someone who’s outside of the situation helps. Meanwhile – HAPPY THANKSGIVING!! Haha definitely not. Happy thanksgiving! As long as you follow where God is leading you, you will be just fine 🙂 I know that right now it must seem like an impossible decision. But in time, through prayer and again, time, you will know where God is leading you. It might take a period of tumultuous praying, thinking, weighing of options, agonizing, etc. etc. But ultimately, He will make your path clear and you will have the courage to follow. I will be keeping you and your decision in my prayers. Good luck, Caralyn, and have a wonderful time with your family!! God Bless! I am beyond honored that you come to read my drivel. You are such an amazing writer, and whatever the future holds I know both of us will write. The future is profoundly female, yet as a red blooded American male I will not apologize for my desire to have dignity and respect as someone who is deeply connected to his feminine side. Words are power, and though my Carey and my Chloe talk and use words more than I do I cannot exist without words. Neither will you Caralyn. Whether you choose NYC or Ohio doesn’t matter. Words will be a part of either place. Grace and peace dear friend. <3 as always, thank you for sharing your story. Here is the thing that we both know. You have to live in the present to slow time down. Living in the present means you have to face what is right there in front of you. Not what is in the past. Nor really in the future, only God has that. Our job is to pray and seek His path for us. Look, listen, and feel Him. No matter how hard. Open the can of worms, let them do their thing, then step over and past them…and leave them there. Time is too important and valuable. Family, blood or not, is too important. You do not get the time back. That is the black and white of this earthly life. I only say all of this because it is something I too have been struggling with, just in my own way. As I believe many struggle with. Continue to say yes. Pray, and ask Him to answer in a way you can understand Him and know it is he who speaks to you. Keep on praying until He speaks to you and gives you peace in the choice you make. As I read your post Caralyn, it reminded me of the changes in my world as well. My oldest is now 2300 miles away and it will be the first Thanksgiving…and next month the first Christmas, he will not be physically present with us. We will be celebrating Thanksgiving with family again this year in the same way we have over the past five or six, which is the next generation, if you will, of the celebrating of the past 30 plus years. Christmas will be different this year and it will be different next year. Thanksgiving? We shall see. It has been my experience that the Lord often brings me to the edge, if you will, and then opens up the next chapter for me. Why He does that, only He knows. I still have to remind myself that God’s timing is the right timing. God shows up at the right time and place. Indecision is letting someone else decide. For me this is linked to fear of failure. Just go for it! Like you said, gratitude is life changing. For real. I can relate to the story of delayed flights, it’s horrible! It’s the worst because it wastes your time and it ruins the chances of making your connection flight. I learned a new word: verklempt! Thank you. Enjoy your holidays at home! On one particular day I think Robert Frost mentioned he took the road less traveled. . .
About the age of 29, when eating out with a good friend, a truly great soul, an older “Comrade in the Lord” whom we will call Mr. H. I inquired of him to relate the good aspects of marriage to me. Did I call him Mr. H? Let’s say Dr. H since it is the truth and he was very knowledgable with people and God — he was a minister, after all, with a TON-and-a-HALF of experience. He was adept with counseling people. Anyway we were enjoying our food while progressing through the list: companionship, helper, two incomes to support the household etc. ; food and conversation going very nicely as we enjoyed the surroundings: the room was one of several at this eatery and was about small enough to be cosy: other patrons were far enough away that a private conversation would go nicely without too many nearby eardrums vibrations from the sound waves from our voices. The food was good, by the way. Did I mention Dr. H was a minister before there were PA systems? Well, allow me to throw this into the mix. Back then you had to have a booming voice since Mr Electricity was not in the business of magnifying the human voice (minister or not). Anyway, the food was excellent. We were making our way down, drawing to # 7 in “the list”. You know some voices just naturally boom out. . . Maybe our conversation wasn’t so private. ? Good food! Just happened that # 7 was the three-letter-word beginning with the letter “s”. I think all the patrons in the room seemed to react a bit as the word came out; it was an interesting moment. The food was still amazing! Breath deep, think good thoughts and have a warm Beer. Things will work themselves out. Thank you for your post. And as for making momentous decisions: I wouldn’t overthink it. You’re living a good life – your love and your faith in both God and others (I believe) will allow you to transition seemlessly along your life journey. Happy Thanksgiving! You write beyond anything like I ever could. I write better than I talk most of the time, but can’t ever seem to express myself like you can. You are awesome. Remember, no matter what, things always resolve themselves & sometimes change just happens without us even noticing it at first. Try not to worry or think about it much…because time DOES go by way too fast & there are better things to be thinking about & doing. I really should take my own advice sometimes. :) HappyThanksgiving! I couldn’t decide which was the right decision for me, so I chose to do what would make the people I loved happy. It was rough, but I made a decision and went with it, and let go of everything else that might have been. It felt like ripping an arm off, but eventually it healed and I ended up happier and freer. But be wary of thinking you’ve ever really said goodbye to anything finally. Things have a way of coming round again just when you think you’ve said goodbye to them for good. I thought I was out of the Army four years ago. But here I am deployed again. C’est la vie. Its amazing how to some time is an asset. To me its literally my worst enemy. Especially time on my own. It gives me time to dwell on things. To wallow in pity. And it gives my inner demons the opportunity to take hold of me and crush my resistance. Add indecisiveness to the mix and I become a mess. Yes I’ve been in that valley of decision long ago. My parents were wonderful people respected in the community in spite of my Dad being in local government politics. I say that because few in the political family are worth respect. My Mom was a religions woman but my Dad had been let down by religious people and was aloof. I chose my Dad’s way worked hard in a CPA firm and partied. My Mom said you can’t burn the candle at both ends but I felt I was bullet proof. But the hard work and partying catches up with you and I found myself in a low spot to the point where I felt an evil presence had me on the hit list. It was probably lifestyle that put me in that place but it was very real and I was so scared I did something quite out of character. I got down on my knees and this was the gist of my prayer. I said God I don’t know if you are real but if you are and you want me you are going to have to take me against my will and put me where you want me because I love what I’m doing. To my shock the answer came next day. I was recalled to head office and put on notice because of a dispute with a fellow worker who’d wormed his way into the owners affection. Then my girlfriend of several years called it off. So I sold my things, went to college to get away from the environment I was in and told God He’d given me a very strong sign He’d heard that prayer so He should lead me forward. And he did. I can look back on a very productive life and travel around the world for work over forty years. But in that moment of indecision when everything fell apart I know God led me to make the right decision thus prompting my success. When God impresses you the way He want you to go. Don’t think about it. Just up and go where He tells you to offer your life service. Like me, you’ll be able to look back over your life and be thankful for His leading. This post was beautiful, moving and heartfelt. I really identified with yoor turmoil-torn between two places. I am in a similar situation myself. However right now I feel I am where I need to be and if God intends for me to return home, the door will open wide. There’s something beautiful about ‘the process’ of blooming. A period of indecision is exactly that — blooming. It’s a transition period where you have to completely trust God for the UNKNOWN. Sometimes, it’s painful, because you will wish there was an easier way. The only time it gets more exciting is when you start to see His plans unfolding in your life. It’s all part of the process, like the life cycle of a butterfly. Your blog — your transparency — is so refreshing. YOU are a beautiful soul. Thanks for always sharing. Whenever I am chanced to read, I am blessed by your words. Hope you had a lovely Thanksgiving with family in Ohio. Follow God’s lead and you will know what to do. Trust that He will guide you and if you do that, there’s no need to worry. If any decision is made through Him it is the right one no matter what it is. Blessings to you. You are absolutely amazing <3 i have never related more to a post before. Home for me to is assosicated with bad memories and flashbacks to the years a spent devoting to my E.D. Now im trying to work on rewriting what going back home means to me and this post helped alot. Indecision is a decision. That is wisdom we would all need at some point of life. Thanks, BBB. As a graphic artist, I particularly enjoy your thoughtful insights with visual punch! I’m super indecisive too! Specially when both options would be good options. I’d suggest the following: first, pray to the Holy Spirit to give you the gift of discernment. Then write down the two options and make a list of pros and cons… no restrictions, everything that comes to your mind! Then, choose the arguments for both sides that are more important to you. Look at the option that seems better according to those. Does choosing it give you peace?? Even if you’re scared, if it’s not comfortable… it should feel right deep down. If not, look at the other one and repeat. It’s worth mentioning that after the initial consolation might come almost immediately a desolation, but that shouldn’t make you second guess your first reaction, because that comes from God, whereas the second feeling might be caused by your own fear or confusion, or even by the devil. In order to make the decision easier, you can also talk about it with people you trust and respect. And I specially recommend talking to a spiritual director if you have one. Discernment is not just for vocations! Thanks Ted. That is truly powerful advice. Yes! Let Go and let God! I love that we can be fully honest with God. We can tell him our fears and surrender them for him to take. We can share with him our desires and if they are good he sustains them. If they are bad he takes them away as we surrender. Galatians 5 gave me such freedom in pursuing surrendered desires. It’s a helpful starting place. How I discern it? By the help of His Holy Sport through dreams, visions and signs. He is the revealer of his secrets. My advice to you is that you pray to Him about it. Ask the Holy Spirit to increase discernment and give you directions leading to the call of Christ on your life. Fast about it as well. Through fasting A LOT of answers are revealed and tarry in His presence and hear what He’s saying to you . Obey the instructions he’s giving to you. May your spiritual vision become clear to see where he’s taking you. As you say ‘indecision is a decision’. I don’t think you need to make a decision right now as we’re still young and in the ‘trying out all different places’ stage. I’m very indecisive too and I think it’s because I get so worked up thinking that one is the right decision and one is the wrong decision. When in reality, both paths are full of adventure and excitement! You’ll know when the right time to make a decision is for you and you can follow your heart. Would love your prayers for healing! I’ll pray for you to know where God is calling you. Thank you. Will definitely pray for you! Love this – indecision/ inaction is a decision. I suppose that falls into the failing to plan is planning to fail category?? First I want to thank you for your honesty and sharing such personal truths with us all. Rest assured your journey always helps somebody else. You are being the person that you needed once upon a time. You are beautiful inside and out, don’t ever forget that. My advice is to follow your heart, believe in yourself, spend time with loved ones and just do what you can do. We can’t be there for someone else, unless we take care of ourself first and foremost. We have all been somewhere that we wished we hadn’t but it is the lesson that we learned which is most important. I really enjoyed reading your blog and promise to follow your journey. I think you might enjoy reading this blog of mine about appreciating yourself for who you are, something we all need to do more of. Thank you again for sharing.